I’m not exactly sure how I stumbled upon Bill Granger’s Coconut Bread recipe but, since I am a HUGE fan of coconut, I just had to give it a try. It is tasty, lightly sweet, and bakes up beautifully. You can find the recipe here. The only change I made was the use of Mounds coconut, which is sweetened (it was the only coconut I had!) and, if I were to use it again, I would definitely run it through the food processor to grind the flakes a bit. 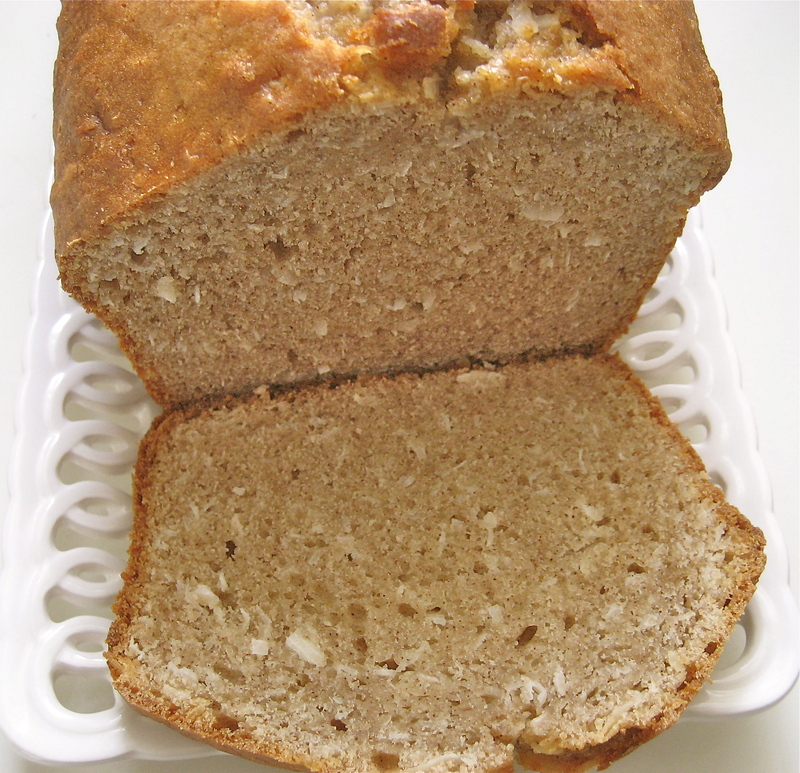 I still love banana bread best, but I had no problem toasting a slice of coconut bread, slathering it with a bit of butter, and enjoying it with breakfast. And with lunch. And as an afternoon snack. There’s no shame in being second-best. From a fellow coconut lover, that bread looks scrumptious…and what could you possibly know about being second best? 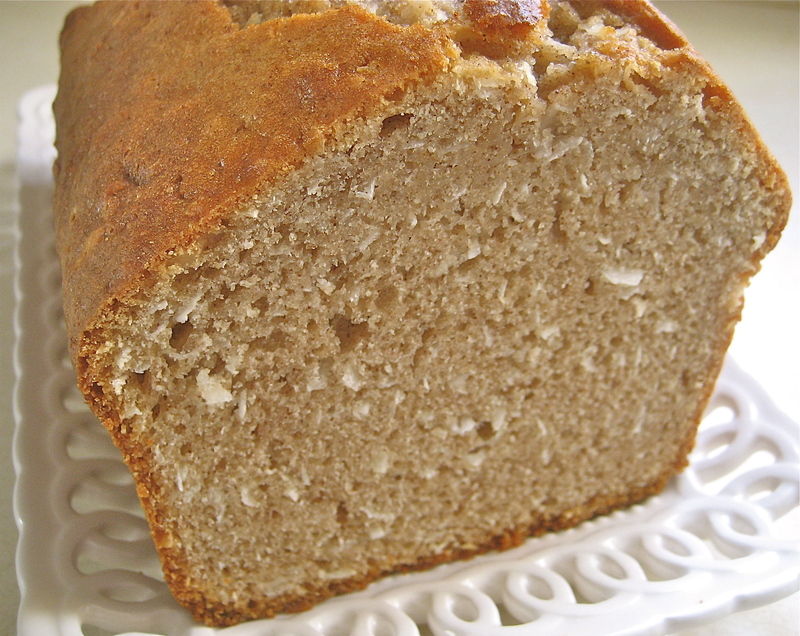 Made it for breakfast this morning but used 1/2 whole wheat flour, unsweetened coconut and substituted applesauce for the butter. Even with those changes it was delicious!